Amazon Prime Day is so popular (that it crashed the site) for good reason. There are some incredible deals if you’re willing to dig through and do some research. Like any big sale, it’s wise to have some specific items in mind. Your wallet will thank you! 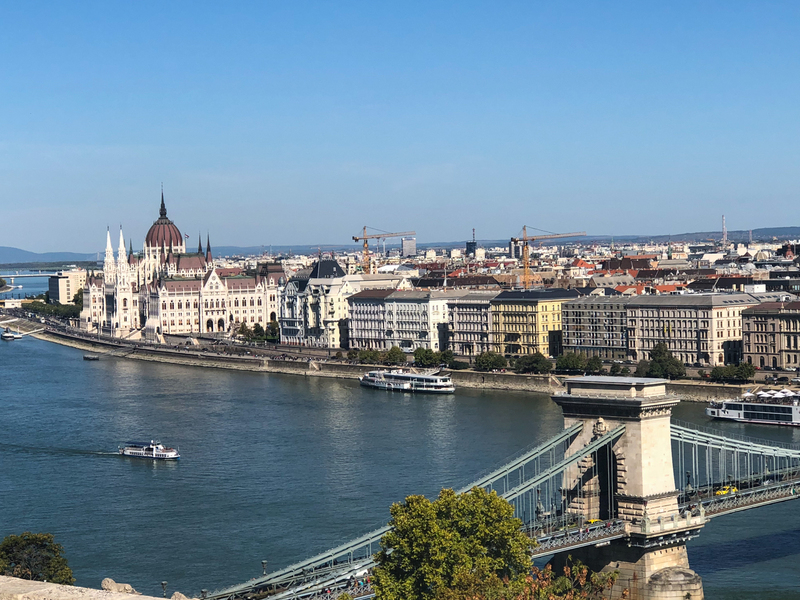 My personal list consisted of travel gear that I don’t currently own but have been interested in trying out for my upcoming trip to Europe for 3 weeks. So, I have gathered for you the top travel items to buy in the Amazon Prime Day 2018 Sale! This powerful portable charger can take two devices at once and is suitable for iPhones, iPads, Samsung Galaxy phones and more. 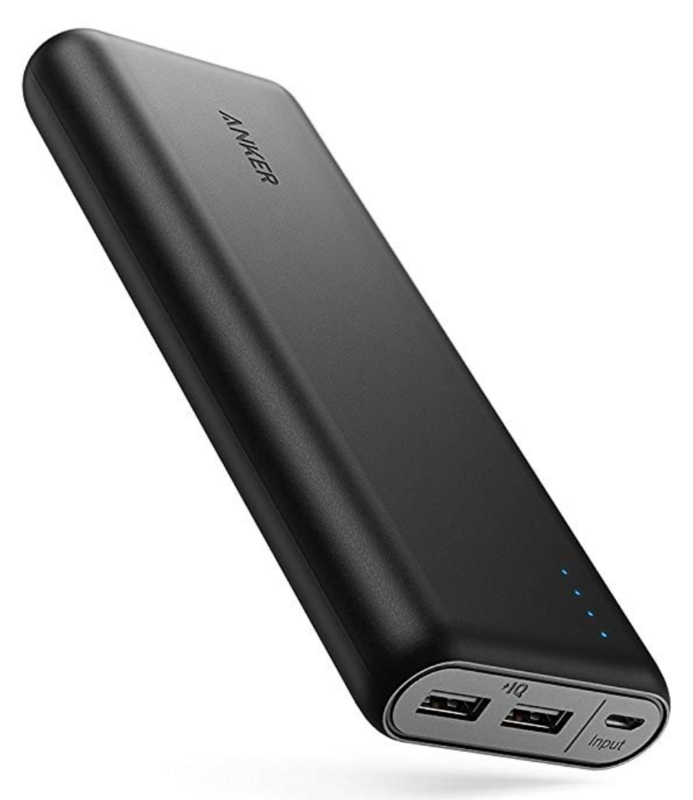 The Anker brand is highly regarded in this space of technology, apparent in it’s 12,739 reviews and 4.5 stars! It is available in black and white, though the white costs a few dollars more (for no good reason). As a more compact version to the prior, this portable charger is better for you if you only want to charge your phone on-the-go. Same trusted brand and 4.5 star reviews. Bonus: it also comes in blue and red! 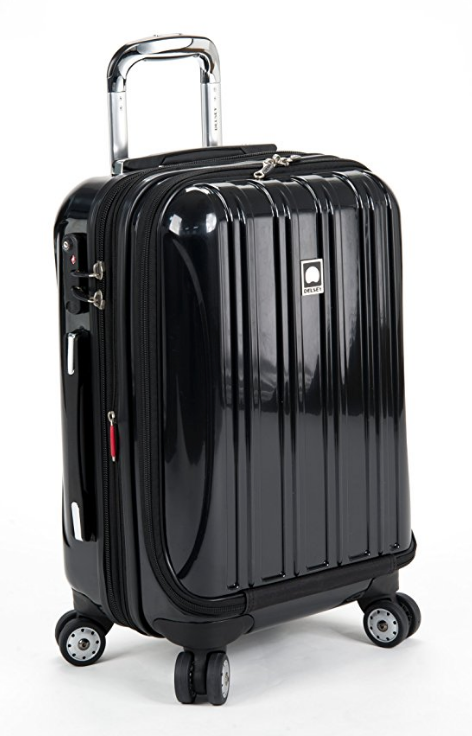 Available in both 19″ international carry-on size and 21″ domestic carry-on size, as well as a variety of colors, this hard suitcase is a great deal from such a luxury luggage brand. For a more elegant style, this vintage-looking suitcase features soft leather trims with even more impressive savings. 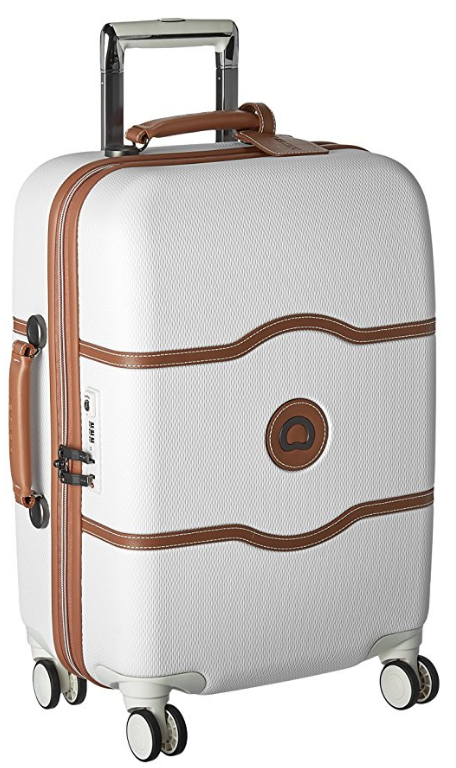 With a savings of 64%, this is a great deal if you’re looking to replace your current suitcases. 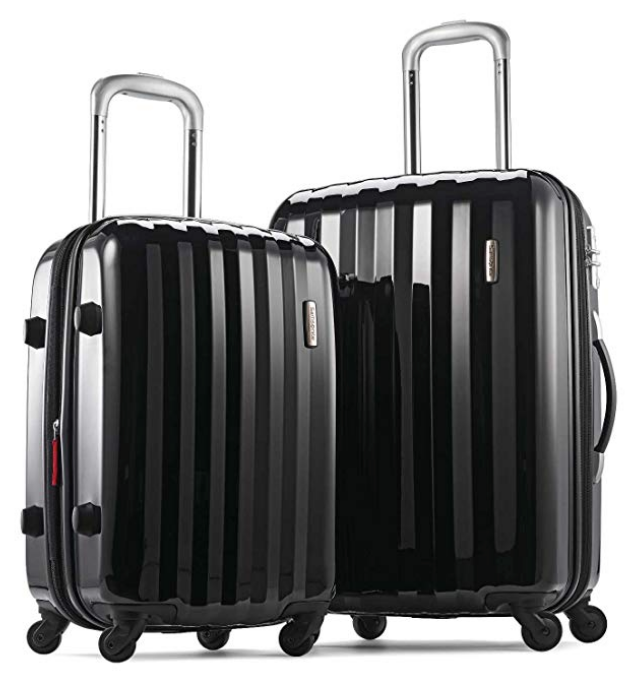 The set includes one carry-on size (that would also work on international flights) and one larger bag to check from a reputable, long-time luggage brand. This good quality, popular style is available in a wide variety of colors and patterns. 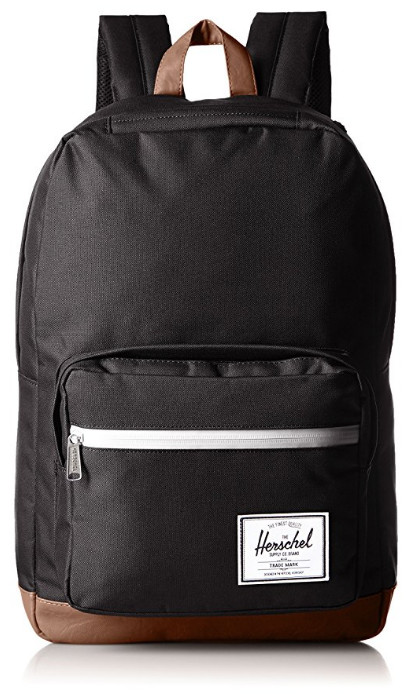 It has a padded and fleece lined 15-inch laptop sleeve and waterproof zipper detail, making it an ideal travel backpack that is spacious inside but will also fit under the seat in front of you on an airplane. As an over-packer, I’ve been curious about compression packing cubes. I’ve been on board with the normal packing cubes for over a year now and will never turn back, but compression cubes take it to a whole different level. I never saw these until the sale somehow, and thought the expensive Eagle Creek ones were the only option. If you’re looking to save and test out the compression design, these are a great place to start. 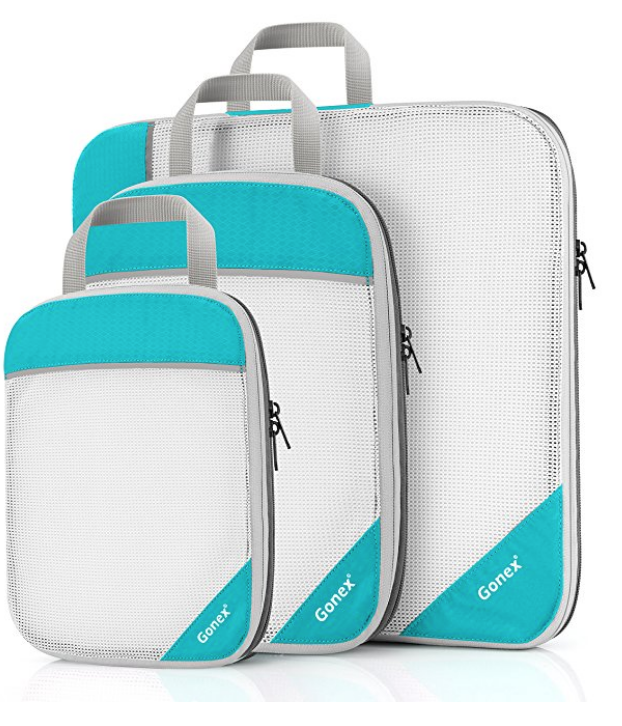 Another option from Gonex here – 3 compression cubes for $15.99. This travel neck pillow is packable, looks actually comfortable (unlike those bean bag style ones at the airports), has over one thousand reviews and at a 4.5 star rating is the #1 best seller in the Neck Pillow category on Amazon. While it will still take up some room in your bag, it’s a nice option if you’re looking to try out or upgrade your travel pillow. I’ve spoken about these before on the blog, as random as they are. Personally, I feel that I have to cover my electric toothbrush with something before I pack it to keep it hygienic and fresh. The best part about these is that they last a while, work with a wide range of toothbrushes, and are so easy! 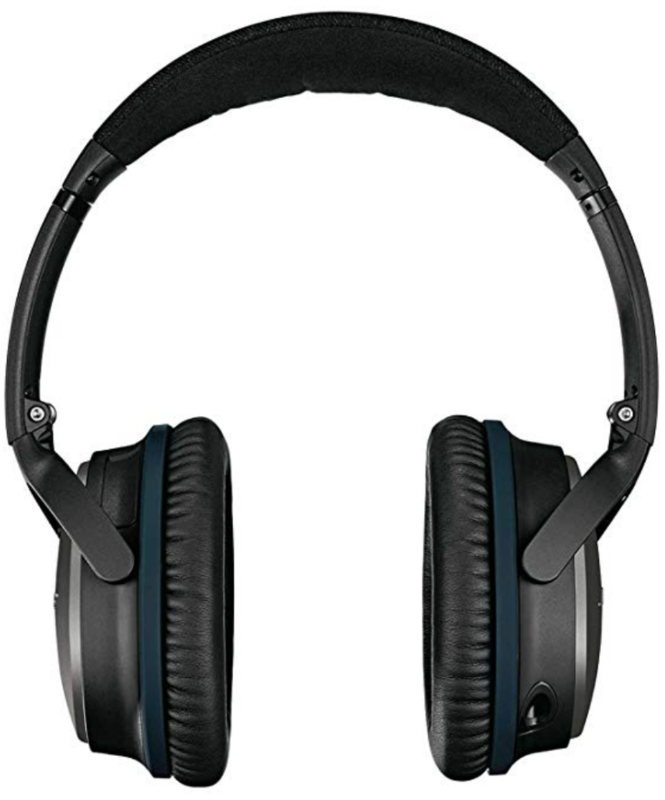 If you use them regularly like I do, it could be worth buying them in bulk for this low price. It’s not a very exciting purchase, but a practical one. Another unexciting item for a good deal. 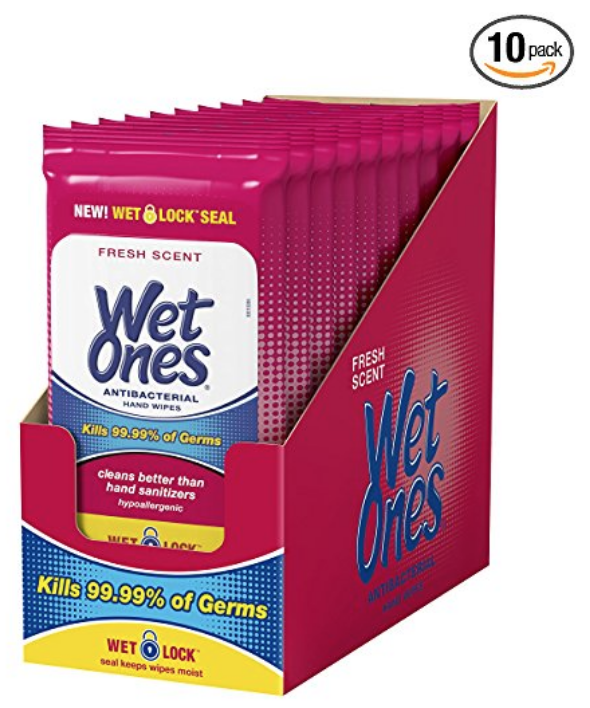 They are not glamorous, but I love keeping a pack of Wet Ones Antibacterial Hand Wipes in my personal item bag when flying to wipe down the tray table, seat belt, arm rests, entertainment, and to use for my hands when needed. I may look like a crazy person for one minute, but it’s 100% worth it to feel like I am in a clean confined space and to prevent picking up germs from previous passengers. I can’t tell you how many times I’ve seen crumbs or something sticky on the tray table – gross! They are also great for trains. Buying in bulk seems smart to me as they tend to dry-out after a trip if left unused after opening the seal. I hope this quick round-up was helpful! I will add any more deals I find tomorrow. If you see any great travel gear on sale that I may have missed, please share it in the comments below. Also, if there’s something you did not see in the sale, check Target tomorrow (Tuesday)! They are having a big sale to compete with Amazon that is open to everyone (not just members like the Prime sale). PS. 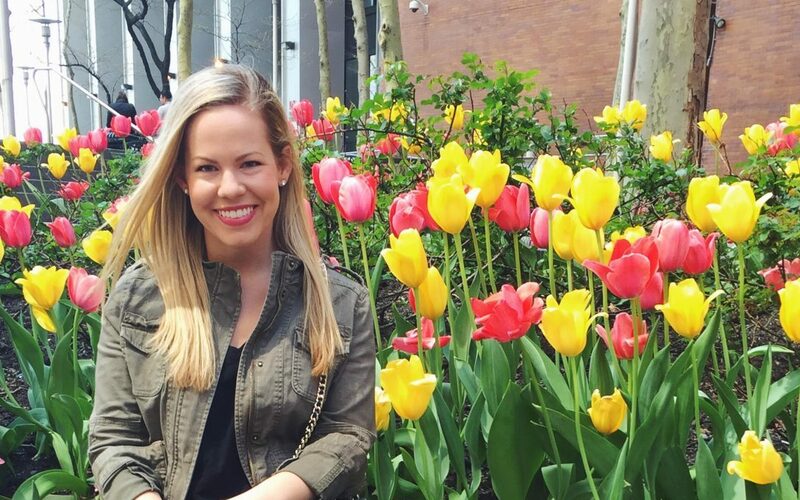 I will be sharing a round-up of my favorite travel finds in the Nordstrom Anniversary Sale this week as it opens to the public on July 20th – stay tuned!